One of our Club Members recently purchased a Hobo Nickel from Wils Hobo Coins. If you click on the link it will take you to Wils Facebook Page and you will see some of his handiwork. If you do a little research on Google you will find lots of info on Hobo Nickels. 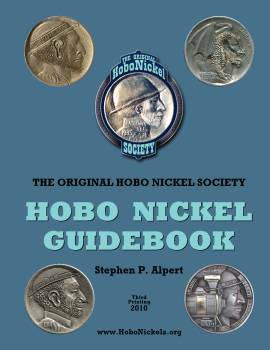 And, if after doing some research you are intrigued, like our Club member was, you can find Hobo Nickels for Auction on eBay and on other sites.